Steve Jobs didn’t believe he would live to reach 40. That’s what “Woz” said in an interview, commenting on his friend’s death. This is the secret to why Jobs made such a difference in the world. The man who gave us the iPod believed his time on earth was was limited. And he didn’t waste a minute. I’ve spent the last twelve hours reading obituaries, tweets, and videos about the passing of the co-founder of Apple. Remembering that I’ll be dead soon is the most important tool I’ve ever encountered to help me make the big choices in life. Because almost everything — all external expectations, all pride, all fear of embarrassment or failure – these things just fall away in the face of death, leaving only what is truly important. As Seth Godin says, we best eulogize someone by doing something with what they leave us. 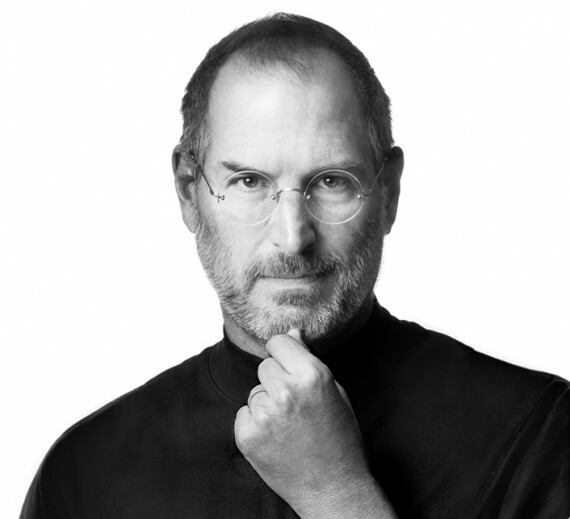 As I reflect on the legacy of Steve Jobs, it inspires and encourages me to leave my own. To make a difference today. Because I’m not guaranteed tomorrow. Build what you want. Steve didn’t believe in focus groups; he believed in giving people what they wanted before they knew they wanted it. Do what you love and do it well. Apple is notorious for releasing remarkable products into the world, all of which is connected to Steve’s reputation (something he took seriously). But even when he was fired from Apple, he continued doing what he loved. Create beautiful things. In his brief college experience, Jobs took a class on typography — a seemingly impractical skill. When Apple released the first Macintosh, it all came back to him. Today, Macs are known for their elegance. Jobs showed us that beauty matters. Follow your dreams. Apple was founded in a garage with nothing but passion and vision. Live before you die. One day, we all will die. And death, as Jobs once said, is “Life’s greatest invention.” It forces us to make a difference now. What do we do with this? What do we do with a legacy of genius? How do we apply such passion, charisma, and quirkiness to our daily lives? Jobs didn’t die when he was 40. He died when he was 56. To the average person, that sounds early, as if his life was half-lived. But for Steve, this meant 16 years of life he hadn’t expected. 16 years that were an absolute gift. We count it all as a gift, treasuring every moment. We do what my friend Chad is doing to honor the death of his sister. We honor those who have passed — not just with tears, but with sweat. We work. We finish what they started. We leave our own legacy. What will your legacy be? Remember: Those who are crazy enough to think they can change the world do. Video not loading? Click here to view it. Great post, Jeff. More important than the products are the lessons Jobs left us. His true legacy. Great video clip at the end. Dreyfuss has a great voice, sets a great mood in that one. Perfect coming from Apple. His passing makes me sad, but I hope someone there can pickup that torch and keeping running with it. Hi, great article. Would you mind taking a moment and referencing the article/video where you found this quote by Woz? It would be very helpful. Hi Hannah. It was an interview on ABC last night. I’ll try to find a link online. It’s probably reposted somewhere. I’ve read tons about Steve Job’s death in the past twelve hours, but this has to be one of my favorites so far. His Stanford address (which I saw for the first time last night) really has some fantastic wisdom–I’ll probably re-watch it several times in the future. That quote you pulled out though, was something that really stuck out to me, too. Most of us have probably heard that we should live like we’re dying, but I never really thought to apply that to decision-making. In the end, he’s absolutely right–we should do what we love as much as we can. Anything else is a waste of time, and we don’t have a minute to waste. thanks, craig. great image and a powerful quote! We had a neighbor once who outlived the Drs. proclamation by about twenty years. This is what his wife said. They counted every day as a gift. Steve taught me to focus on excellence. In the world of commoditized products, Apple stands out. They don’t just work… they work better. I really missed Steve this week at the iPhone rollout. It wasn’t the same. he taught me the same thing, John. When I started writing my blog a few years ago, I did it with the intentions of giving and leaving a piece of me for my children for when I am gone. I know it sounds odd, but I love that anytime they want to, they could go back and see the life that I lived. The more raw the I write, the more that they will know the heart of their mother. beautiful. thanks for sharing your own piece of legacy, Jennifer. I’ve watched his now famous speech, and I sat there wondering why it always takes the knowledge of impending death for the valuable lessons to hit home; to completely change our attitudes and perspectives. We really would be wise to live as though we’re dying, because we are. I am guilty of this attitude and perspective change that you mention. I recently had a renal cell carcinoma discovered and removed in the last two months, and the things that are truly important are the only things I make time for now. It’s something we’re all inherently aware of, but until death peeks over the fence at us, we let the things that don’t matter rule our lives. Jobs lived this realization years ago, way before he was diagnosed. A trailblazer in every regard. It’s not easy to write about a topic like this and do it justice, but this was very well said. Steve definitely left us more than just great technology and you expressed that idea well with this post. Denise just said everything I was thinking. Nicely done! I just can’t believe he’s gone, this is a terribly sad day. tough to swallow isn’t it? i was really shocked when i heard the news. Alas, he wasn’t ready to go. Steve was as great as a man can be without morals. He was a genius, and I’ve admired him in many ways. “We honor those who have passed — not just with tears, but with sweat.” I like that bias for action. It’s time to pick up where the deceased have left off. Yes? Love your post & love all inspiration Steve Jobs is still generating even in his death. thanks, bethany. it’s really something, isn’t it? Wow, after reading several Jobs posts, he’s got some fantastic quotes. Looking forward to reading more of his words. What a legacy. I wasn’t looking forward to reading all the Steve Jobs blog post but I am really glad you wrote this one. It was perfect. I think you are right on Jeff…we choose to live and think about our legacy. For me, I want to leave a legacy of integrity with my family, first and foremost. I’m a visionary, a dreamer, but if I fail with my family, what’s it all worth? Well said. I’m the same and I agree with you, Sarah. I want be famous first at home. Thanks for sharing. Very inspiring. A legacy of Chinese slave labor carefully hidden from his sheep.